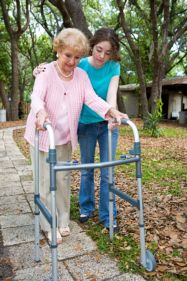 We have a complete team that provides in Home Care in Aurora, Colorado. As part of the team, a Physical Therapist will help you or your family member to recuperate from injury or illness at home. Your assigned therapist can also include coping skills if your disability or health condition is permanent. If you have questions about physical therapy or any of our home health care services, please feel free to call Colorado Family Quality Home Care at 303-632-7225.